List of Apple Orchards and Apple Farms for families to go apple picking this fall 2018. Apple picking is an important seasonal activity held at orchards and farms. Apple orchards usually will be opened to the public from late August through October, allowing people to pick their own apples, fruits and vegetables. Consumers can also purchase pre-picked apples. Some farms also offers wagon rides through the orchards for apple picking. Other fun activities in the orchards include Petting Zoos, Hay Rides and Pumpkin Patch. Located at 1695 County Road 1141, Cullman, AL 35057. Call 256-734-5249 or visit website for more information. Located at 24012 US Highway 72, Athens, Alabama 35613. Call 256-232-0808 or visit website for more information. Mountain View Orchards – Apple, Peaches, Strawberries, Peaches. Located at 16045 County Road 29, Jemison, AL 35085. Call 205-688-1434 or visit website for more information. Located at 2163 Scott Road, Hazel Green, AL 35750. Call 256-828-4563 or visit website for more information. Located at 236 County Road 39 Fackler, AL 35746. Call 256-437-9254 or visit website for more information. Located at 351 Oak Grove Rd, Munford, Alabama 36268. Call 256-493-0916 or visit Facebook page for more information. Located at 1364 Esro Road, Fairbanks, Alaska 99712. Call 907-488-6446 or visit website for more information. Located at 49200 Freda Dr, Kenai, Alaska 99611. Call 907-598-1339 or visit Facebook page for more information. Located at 2081 W Hardy Road, Willcox, AZ 85643. Call 520-384-2084 or visit website for more information. Located at 2173 E Miller Canyon Road, Hereford, Arizona 85615. Call 520-378-2728 or visit website for more information. Located at 42610 Highway 60-89, Morristown, AZ 85342. Call 623-388-2603 or visit website for more information. Located at 27197 S. Brookerson Road, Willcox, AZ 85643. Call 520-384-2539 or visit website for more information. Located at 1081 Hwy 818, Clarksville, AR 72830. Call 479-754-3707 or visit website for more information. Located at 3705 AR-264, Lowell, Arkansas 72745. Call 479-756-3152 or visit website for more information. Located at 5915 Bauxite Cutoff Road, Bauxite, AR 72011. Call 501-317-0045 or visit website for more information. Located at 3175 Sullivan Road, Sebastopol, CA 95472. Call 707-829-0617 or visit website for more information. Located at 5105 Chileno Valley Rd, Petaluma, California 94952. Call 707-765-6664 or visit website for more information. Located at 55 Peckham Road, Watsonville, California 95076. Call 831-722-1056 or visit website for more information. Pick your own Apples, Hayrides through the Orchard. Located at 646 Trabing Road, Watsonville, California 95076. Call 408-472-1958 or visit website for more information. Located at 4354 Bumble Bee Lane, Camino, CA 95709. Call 530-644-6881 or visit website for more information. Located at 6914 Ute Hwy, Longmont, Colorado 80503. Call 303-485-5585 or visit website for more information. Orchard Valley Farms – Pick your own Fruit, Berries, Grapes, Decorative Gourds, vegetables. Located at 15836 Black Bridge Road Paonia, Colorado 81428. Call 970-527-6838 or visit website for more information. Located at 1190 1st Street, Penrose, Colorado 81240. Call 719-429-6300 or visit website for more information. Located at Walt Rosenberg. Call 970-231-6399 or visit website for more information. Located at 32 Reeds Gap Rd, Middlefield, Connecticut 06455. Call 860-349-1793 or visit website for more information. 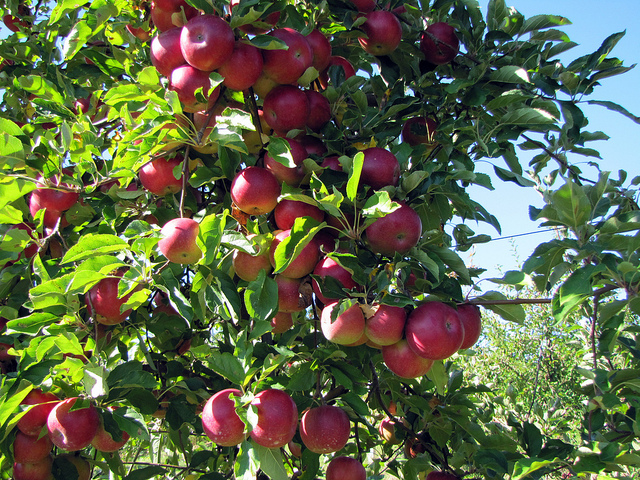 Rogers Orchards – Pick your own Apples, Cortland, Macoun, Empire, Red Delicious, and Mutsu. Located at 336 Long Bottom Road, Southington, Connecticut 06489. Other Location – 2876 Meriden Waterbury Turnpike, Southington, Connecticut 06410. Call 860-229-4240 or visit website for more information. Located at 483 Matson Hill Rd, South Glastonbury, Connecticut 06073. Call 860-633-2789 or visit website for more information. Located at 451 Sport Hill Road, Easton, CT 06612. Call 203-261-3306 or visit website for more information. Located at 13 Schoolhouse Road, Ellington, CT 06029. Call 860-875-1000 or visit website for more information. Located at 46 Bailey Road, Enfield, CT 06082. Call 860-763-3276 or visit website for more information. Located at 8887 Redden Road, Bridgeville, DE 19933. Call 302-337-8271 or visit website for more information. Located at 1919 Allabands Mill Road, Camden-Wyoming, Delaware 19934. Call 302-697-2141 or visit website for more information. Located at Rt. 4, Box 285, Lake City, FL. Call 386-752-1556 for more information. Located at9696 Hwy. 52 East, Ellijay, Georgia 30536. Call 706-273-3838 or visit website for more information. Located at 9131 Highway 52, East Ellijay, Georgia 30536. Call 706-276-3048 or visit website for more information. Located at 3379 Tailscreek Road, Ellijay, Georgia 30540. Call 706-635-5898 or 706-635-7674 or visit website for more information. Located at 8660 Blue Ridge Dr, Blue Ridge, Georgia 30513. Call 800-361-7731 or visit website for more information. Located at Hwy 515 South, 63 Talona Spur, Ellijay, GA 30540. Call 706-276-3813 or visit website for more information. Located at 106 Johnson Road, Kula, HI. Located at 1877 West South Slope Road, Emmett, ID 83617. Call 208-695-9741 or visit Facebook page for more information. Located at 81 South 350 West, Jerome, ID 83338. Call 208-539-7285 or visit website for more information. Located at 1871 West South Slope Road, Emmett, Idaho 83617. Call 208-365-1413 or visit website for more information. Located at 19692 Williamson Lane, Caldwell, ID 83607. Call 208-459-7333 or visit website for more information. Located at 145 E. South Slope Road, Emmett, ID 83617. Call 208-365-6160 or visit Facebook page for more information. Located at 19412 Shabbona Rd, Malta, Illinois 60150. Call 815-825-2158 or visit website for more information. Located at 14510 IL Route 176, Woodstock, IL 60098. Call 815-338-5637 or visit website for more information. Located at 1050 Crest Road, Green Oaks, IL 60048. Call 847-770-3449 or visit website for more information. Located at 15908 Hebron Rd. Harvard, IL 60033. Call 815-648-4141 or visit website for more information. Located at 11783 Waterman Road, Waterman, IL 60556. Call 815-264-3337 or visit website for more information. Located at 8218 Cemetery Road, Winnebago, IL 61088. Call 815-963-2261 or visit website for more information. Located at 6385 Kilburn Avenue, Rockford, Illinois 61103. Call 815-963-7848 or visit website for more information. Located at 11477 Pocahontas Road, Marine, Illinois 62061. Call 618-887-4732 or visit website for more information. Located at 951 S Green Mount Rd, Belleville, Illinois 62220. Call 618-233-0513 or visit website for more information. Located at 1942 Copple Road, Centralia, Illinois 62801. Other Location: Route 37 North, Dix, Illinois. Located at 12803 Broom Road, Carlinville, IL 62626. Call 217-854-3514 or visit website for more information. Located at Anderson Orchard, 369 E. Greencastle Road, Mooresville, IN 46158. Call 317-831-4181 or visit website for more information. Located at 19975 Hamilton Boone Road, Sheridan, Indiana 46069. Call 317-769-4172 or visit website for more information. Located at 5717 N 300 West, Greenfield, IN 46140. Call 317-326-2278 or visit website for more information. Located at 10721 N. 850 W., Fairland, IN 46126. Call 317-861-4025 or visit website for more information. Located at 500 West Epler Ave, Indianapolis, IN 46217. Call 317-784-0550 or 317-784-7783 or visit website for more information. Located at 200 S. County Line Road, Hobart, IN 46342. Call 219-947-4477 or visit website for more information. Located at 14922 535th Street, Griswold, IA 51535. Call 712-778-4256 or visit website for more information. Located at 5801 N 10th Street, Marion, Iowa 52302. Call 319-377-1408 or visit website for more information. Located at 2402 West Main Street Marshalltown, IA 50158. Call 641-752-8443 or visit website for more information. Located at 2469 Highway 2, Donnellson, Iowa 52625. Call 319-372-1307 or visit website for more information. Located at 3035 Addison Blvd (Hwy 218), Nashua, IA 50658. Call 641-210-5506 or visit website for more information. Located at 62785 280th Street, Nevada, Iowa 50201. Call 515-382-5138 or visit website for more information. Located at 1102 244th Street, Jefferson, IA 50129. Call 515-386-8279 or visit website for more information. Located at 54757 Hwy 52, Sabula, IA 52070. Call 563-687-2298 or visit website for more information. Located at 799 Swisher View Drive SW, Swisher, IA 52338. Call 319-857-4322 or visit website for more information. Located at 9773 NE 158th Avenue, Maxwell, IA 50161. Call 515-240-4920 or visit website for more information. Located at 1844 194th Street, Mondamin, Iowa 51557. Call 712-646-2723 or visit website for more information. Located at 3341 N. 139 Street, Kansas City, Kansas 66109. Call 913-721-2507 or visit website for more information. Located at 7139 E 149th Street, Overbrook, KS 66524. Call 785-665-7643 or visit website for more information. Located at 15380 Edgerton Road, Gardner, KS 66030. Call 913-893-6050 or visit website for more information. Located at 1403 E 1850 Rd, Lawrence, Kansas 66046. Call 785-842-4428 or visit Facebook page for more information. Located at 1396 Pinckard Pike, Versailles, Kentucky 40383. Call 859-873-3097 or visit website for more information. Located at 198 Stone Road, Georgetown, KY 40324. Call 502-863-2255 or visit website for more information. Located at 8350 West Highway 80, Nancy, Kentucky 42544. Call 606-636-6148 or visit website for more information. Located at 239 Lail Lane, Paris, KY 40361. Call 859-987-6480 or visit website for more information. Located at 8631 Campbellsville Road, Hodgenville, KY 42748. Call 270-325-3854 or visit website for more information. Located at 295 Buckfield Rd (Route 117), Turner, Maine 04282. Call 207-225-5552 or visit website for more information. Located at 3876 Union Street, Levant, ME 04456. Call 207-884-8354 or visit website for more information. Located at 276 Gloucester Hill Road, New Gloucester, Maine 04260. Call 207-926-4738 or visit website for more information. Located at 363 Durgintown Road, Hiram, ME 04041. Call 207-625-4777 or visit website for more information. Located at 86 Sawyer Mountain Rd, Limerick, Maine 04048. Call 207-793-4749 or visit website for more information. Located at 434 Camden Rd, Hope, ME 04847. Call 207-763-2824 or visit website for more information. Located at 318 Readfield Road, Rt. 17, Manchester, ME. Call 207-622-2479 or visit website for more information. Located at 1495 Appleton Road, Elkton, MD 21921. Call 410-398-1349 or visit website for more information. Located at 1015 Baugher Road, Westminster, Maryland 21158. Call 410-857-0111 or visit website for more information. Located at 2112 Old National Pike, Middletown, MD 21769. Call 240-405-4820 or visit website for more information. Located at 22200 Davis Mill Road, Germantown, MD 20876. Call 301-972-3299 or visit website for more information. Located at 15604 Sugarland Road, Poolesville, Maryland 20837. Call 301-977-3761 or visit website for more information. Located at 45 Fern Avenue, Amesbury, MA 01913. Call 978-388-5525 or visit website for more information. Located at 138 Sudbury Road, Stow, MA 01775. Call 978-562-5666 or visit website for more information. Located at 315 South Bradford Street, North Andover, MA 01845. Call 978-688-8058 or visit website for more information. Located at 115 Oak Hill Road, Harvard MA 01451. Call 800.286.3916 or visit website for more information. Located at 95 Farwell Road, Tyngsboro, Massachusetts 01879. Call 978-649-3854 or visit website for more information. Located at 234 Ball St, Northborough, MA 01532. Call 508-393-6406 or visit website for more information. Located at 1125 Pleasant St, Leominster, Massachusetts 01453. Call 978-840-3276 or visit website for more information. Located at 106 West Acton Road, Stow, MA 01775. Call 978-897-9287 or visit website for more information. Located at 143 Argilla Road, Ipswich, MA. Call 978-356-5366 or visit website for more information. Wiard’s Orchards & Country Fair – Pick your own Apples and Pumpkins, Field Trips, Hay Rides, Sororities, Corn Maze, Animal Petting Farm, Giant Slide, Straw Stack, Moonwalk, Bungee Run, Quacker Rapids Duck Races, Fort Wiard Mini Golf, Fire Engine Rides. Located at 5565 Merritt Road, Ypsilanti, Michigan 48197. Call 734-390-9211 or visit website for more information. Located at Stony Creek Orchard & Cider Mill, 2961 W. 32 Mile Road, Romeo, MI 48065. Call 586-752-2453 or visit website for more information. Located at 10411 Clyde Rd, Fenton, MI 48430. Call 810-632-7692 or visit website for more information. Located at 65075 Van Dyke, Washington Twp., MI 48095. Call 586-752-3123 or visit website for more information. Located at 17985 Armada Center Road, Armada, MI 48005. Call 586-784-5343 or visit website for more information. Located at 3685 Central St, Dexter, MI 48130. Call 734-426-8531 or visit website for more information. Located at 10685 Warren Rd, Plymouth, Michigan 48170. Call 734-414-0366 or visit website for more information. Located at 1990 E Avon Road, Rochester Hills, MI 48307. Call 248-651-8300 or visit website for more information. Located at 7450 Franklin Road, Bloomfield Hills, MI 48301. Call 248-626-8261 or visit website for more information. Located at 4875 37th St SE, Delano MN 55328. Call 763-972-6673 or visit website for more information. Located at 6428 Manning Avenue Stillwater, MN 55082. Call 651-439-3127 or visit website for more information. Located at 6530 County Road 26, Minnetrista, MN 55364. Call 763-479-6530 or visit website for more information. Located at 17325 Pleasant Valley Road, Shafer, Minnesota 55074. Call 651-257-9159 or visit website for more information. Located at 14421 South 90th Street, Hastings, MN 55033. Call 651-436-8385 or visit website for more information. Located at 4660 Highway 345, Pontotoc, Mississippi 38863. Call 662-489-7783 or visit Facebook page for more information. Located at 199 Jackson Street, Augusta, MO 63332. Call 636-228-4338 or visit website for more information. Located at 15885 Orchard Lane, Marthasville, MO 63357. Call 636-433-2299 or visit website for more information. Located at 3663 N Hwy 94, St. Charles, Missouri 63301. Call 636-925-9969 or visit website for more information. Located at 10455 N Highway, Platte City, MO 64079. Call 816-330-3448 or visit website for more information. Located at 16300 Wilkerson Road, Weston, Missouri 64098. Call 816-386-5437 or visit website for more information. Located at 1501 Old Reserve Street, Kalispell, MT 59901. Visit website for more information. Located at 805 Bridger-Fromberg Back Road, Fromberg, MT 59029. Call 406-581-9939 or visit website for more information. Located at 34297 Frontage Road, Bozeman, MT 59715. Call 406-585-0225 or visit website for more information. Located at 2405 South Hwy 75, Union, Nebraska 68455. Other Location: Central Apple Market, 701 Central Avenue, Nebraska City, NE, 68410. Call 402-263-4845 or visit website for more information. Located at 5995 G Road, Nebraska City, NE 68410. Call 402-873-5293 or visit website for more information. Located at 2024 Ashland Road, Ceresco, NE 68017. Call 402-665-2140 or visit website for more information. Located at 3803 Cornhusker Road, Bellevue, NE 68123. Call 402-291-9374 or visit website for more information. Located at 3200 Alcorn Rd, Fallon, NV 89407. Call 775-423-2032 or visit website for more information. Located at 7800 North Tenaya, Las Vegas, Nevada 89131. Call 702-409-0655 or visit website for more information. Located at 133 Exeter Road, Hampton Falls, NH 03844. Call 603-926-3721 or visit website for more information. Located at 230 Mammoth Road, Londonderry NH 03053. Call 603-432-3456 or visit website for more information. Located at 656 Gould Hill Rd, Contoocook, New Hampshire 03229. Call 603-746-3811 or visit website for more information. Located at 20 Orchard Way, Lee, New Hampshire 03861. Call 603-868-2111 or visit website for more information. Located at 59 High Range Road, Londonderry, NH. Call 603-432-7753 or visit website for more information. Located at 735 N River Rd, Milford, New Hampshire 03055. Call 603-673-3544 or visit website for more information. Located at 73 Carter Hill Road • Concord, NH 03303. Call 603-225-2625 or visit website for more information. Located at 561 Blairstown Rd (County Rd. 521), Hope, NJ 07844. Call 908-459-5351 or visit website for more information. Located at 962 Route 517, (McAfee-Glenwood Road) Glenwood, NJ 07418. Call 973-764-4732 or visit website for more information. Located at 8 State Route 24, Chester, New Jersey 07930. Call 908-879-2696 or visit website for more information. Located at 330 Cold Soil Road Princeton, NJ 08540. Call 609-924-2310 or visit website for more information. Located at 122 Oakdale Road, Chester, NJ 07930. Call 908-879-5353 or visit website for more information. Located at 5 Padilla Road Belen, New Mexico 87002. Call 505-220-4593 or visit website for more information. Located at 13 Mountain Park Rd Mountain Park, NM 88325. Call 575-682-2351 or visit website for more information. Located at County Road 1105 Driveway #65, Embudo, NM 87531. Call 505-579-4378 or visit website for more information. Located at 812 Sound Avenue, Calverton, NY 11933. Call 631-929-4327 or visit website for more information. Located at Route 25 Aquebogue – Manor Lane, Jamesport. Call 631-722-5770 or visit website for more information. Milk Pail – Pick your own Apples, Pumpkins, Gourds & Squash. Amy’s Flowers, Educational Tour of the Apple Orchard and Pumpkin Patch. Located at 1346 Montauk Hwy, Water Mill, NY 11976. Call 631-537-2565 or visit website for more information. Located at 715 Sound Ave, Mattituck, NY 11952. Call 631-298-0800 or visit website for more information. Located at 209 Perkinsville Road, Highland, NY 12528. Call 845-795-4037 or visit website for more information. 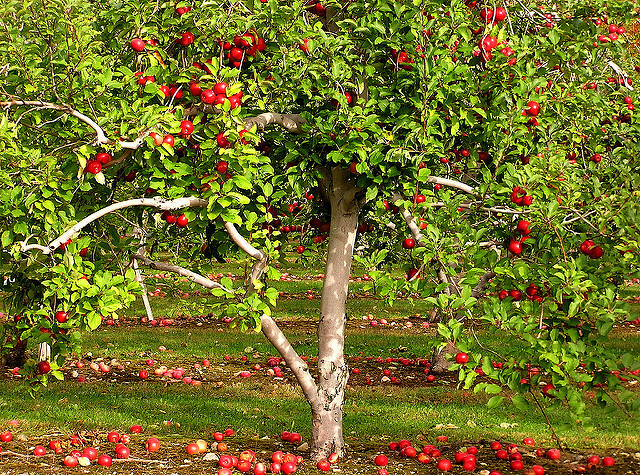 Weed Orchards – Pick your own Fruit Farm, Wine, Hard Cider, Craft Beer Tastings. Located at 43 Mount Zion Road, Marlboro, NY 12542. Call 845-236-2684 or visit website for more information. Located in 306 Frozen Ridge Road, Newburgh, NY 12550. Call 845-562-4268 or visit website for more information. Located at 139 Hardscrabble Road, PO Box 202, North Salem, NY 10560. Call 914-277-3188 or visit website for more information. Located at 23 Soons Circle, New Hampton, NY 10958. Call 845-374-5471 or visit website for more information. Located at 170 Stepp Orchard Drive, Hendersonville, NC 28792. Call 828-685-9083 or visit website for more information. Located at 3403 Greenville Highway, Flat Rock, North Carolina 28731. Call 828-692-7930 or visit website for more information. Located at 187 Garren Road, Hendersonville NC 28792. Call 828-243-7235 or 828-243-2420 or visit website for more information. Located at 3748 Chimney Rock Road, Hendersonville NC 28792. Call 828-685-8352 or visit website for more information. Located at 2951 Chimney Rock Road, Hendersonville, NC 28792. Call 828-685-1685 or visit website for more information. Located at 9090 Morse Road SW, Pataskala, OH 43062. Call 740-927-7013 or visit website for more information. Located at 5895 Johnstown Utica Road, Utica, Ohio 43080. Call 740-892-3989 or visit website for more information. Cherry Hawk Farm – Pick your own Apples varieties Williams Pride, Red Free, Jonafree, Gala, Honeycrisp. Located at 16220 Springdale Road, Marysville, OH 43040. Call 937-642-6442 or visit website for more information. Eshleman Fruit Farm – Fun Tours, Wagon Ride, Pick your own Apples, Educational Tours, Senior Tours, Tour the Packing House and Cold Storage, learn about Honey Bees at the Observation Hive. Located at 753 East Maple (State Rd. 101 1-mile NE of State Rte 20), Clyde, OH 43410. Call 419-547-9584 or visit website for more information. Located at Route 1, Box 30, Cleveland, OK 74020. Call 918-694-9281 or visit website for more information. Located at 39232 E. 231st Street South, Porter, Oklahoma 74454. Call 918-483-2102 or visit website for more information. Located at 18350 Orchard Ln, Spiro, Oklahoma 74959. Call 918-962-3719 or visit website for more information. Located at 23995 SW Pacific Highway, Sherwood, OR 97140. Call 503-625-7705 or visit website for more information. Located at 24350 SW Farmington Road, Beaverton, OR 97007. Call 503-313-1346 or visit website for more information. Located at 12 miles South of Hood River at 6200 HWY 35, Mt. Hood, OR 97041. Call 541-490-8113 or visit website for more information. Located at 8129 Clear Creek Road, Parkdale, OR 97041. Call 541-352-7115 or visit website for more information. Located at 6670 Trout Creek Ridge Rd, Mt Hood, OR 97041. Call 541-352-6554 or visit website for more information. Located at 31965 NW Beach Road, Hillsboro, Oregon 97124. Call 503-647-5234 or visit website for more information. Located at 823 Berry Lane, Monongahela, PA 15063. Call 724-258-3557 or visit website for more information. Located at 2318 Butler Logan Road, Tarentum, Pennsylvania 15084. Call 724-224-9491, 480-220-8228 or visit website for more information. Located at 170 Simmons Road, MC Murray, PA 15317. Call 724-941-1490 or visit website for more information. Located at 600 North Branch Road, McDonald PA, 5057. Call 412-913-4981 or visit website for more information. Located at 277 State Route 18, New Wilmington, PA 16142. Call 724-652-3221 or visit website for more information. Located at 3325 Creamery Road, New Hope, PA 18938. Call 215-297-8079 or visit website for more information. Located at 137 West Knowlton Road, Media, PA 19063. Call 610-876-7116 or visit website for more information. Located at 1000 Marshallton-Thorndale Road, West Chester, PA 19380. Call 610-269-3494 or visit website for more information. Located at 931 Stony Hill Road, Yardley, PA 19067. Call 215-968-1670 or visit website for more information. Located at 97 Styers Lane, Langhorne, PA 19047. Call 215-702-9633 or visit website for more information. Located at 400 Long Lane, Lancaster, PA 17603. Call 717-872-9311 or visit website for more information. Located at 40 Fruit Lane, Morgantown, PA 19543. Call 610-856-7300 or visit website for more information. Located 390 Orchard Road, Mohnton, PA 19540. Call 717-445-5704 or visit website for more information. Located at 1767 Clearview Rd, Coplay, Pennsylvania 18037. Call 610-261-2323 or visit website for more information. Located at 9200 Kings Hwy, Kempton, Pennsylvania 19529. Call 610-756-6411 or visit website for more information. Located at 2920 Diamond Hill Road, Cumberland, RI 02864. Call 401-333-2240 or visit website for more information. Located at 91 Brown Avenue, Johnston, Rhode Island 02919. Call 401-949-3657 or visit website for more information. Located at Steere Orchard, 150 Austin Avenue, Greenville, RI 02828. Call 401-949-1456 or visit website for more information. Located at 56 Elmdale Rd, North Scituate, RI 02857. Call 401-934-1413 or visit website for more information. Located at 50 Swan Road, Smithfield, RI 02917. Call 401-231-9043 or visit website for more information. Located at Hill Orchards, 86 Winsor Avenue, Johnston, RI 02919. Call 401-949-2940 or visit website for more information. Located at 1860 Black Highway, York, South Carolina 29745. Call 803-684-0690 or visit website for more information. Located at 130 Orchard Dr, Moore, South Carolina 29369. Call 864-574-8889 or visit website for more information. Bryson’s Apple Orchard – U-Pick Apples, Peaches. Apples varieties include Red Delicious, Golden Delicious, Gala, Mutsu, Ozark Golden, Granny Smith, Arkansas Black, Rome Beauty, Yates, Fuji, Winesap, Supreme Gold and Sunshine. Located at 1011 Chattooga Ridge Road, Mountain Rest, SC 29664. Call 864-647-9427 or visit website for more information. Located at 454 Damascus Church Rd, Longcreek, South Carolina 29658. Call 864-647-9768 or visit website for more information. Located at 27249 SD Highway 115, Harrisburg, South Dakota 57032. Call 605-743-2424 or visit website for more information. Silver Creek Orchard – Pick Your Own Apples, Pumpkins, Petting Zoo, Sunflower City, Pumpkin Patch, Horse Drawn Wagon Rides. Apple varieties include Zestar, Fuji, Honeycrisp, Honeygold, Liberty, Wolf River, & Snowsweet. Located at 25052 474th Ave, Baltic, South Dakota 57003. Call 605-529-4007 or visit website for more information. Located at 25789 480th Ave, Brandon, South Dakota 57005. Call 605-582-3966 or visit website for more information. Located at 30935 482nd Ave, Elk Point, South Dakota 51001. Call 712-540-0127 or visit Facebook page for more information. Located at 7690 Nolensville Road, Nolensville, Tennessee 37135. Call 615-395-4088 or visit website for more information. Pratt’s Orchard & Garden Center – Pick Your Own Peaches and Apples. Apple varieties include Gala, Mutsu, Yellow Delicious, Stayman, Winesap & Fuji. Located at 4944 Trousdale Ferry Pike, Lebanon, TN 37087. Call 615-444-7742 4088 or visit website for more information. 869 Underwood Road, McMinnville, Tennessee 37110. Call 931-473-6513 4088 or visit website for more information. Located at 351 Weese Road SE Cleveland, TN 37323. Call 877-472-3044 or 423-472-3044 or visit website for more information. Located at 12206 E Highway 62, Idalou, Texas 79329. Call 806-892-2961 or visit Facebook page for more information. Located at 14024 State Highway 16 N, Medina, Texas 78055. Call 830-589-2202 or visit website for more information. Located at 600 Austin Street, Mason, TX 76856. Call 325-347-1808 or visit website for more information. Henrietta Creek Orchard – Pick Your Own Apples in 6 varieties & Peaches. Field Trips, Educational Programs. Pizza Garden includes Tomatoes, Peppers, Garlic and Herbs. Located at 14255 Old Denton Rd, Roanoke, Texas 76262. Call 817-439-3202 or visit website for more information. Located at 5625 W 12000 S, Payson, UT 84651. Call 801-465-4819 or visit website for more information. Located at 2109 North University Ave, Provo, UT 84604. Call 801-377-0748 or visit website for more information. Located at 9971 South Highway 165, Paradise, UT 84328. Call 435-245-6203 or visit website for more information. Located at 645 S. Alpine Hwy Alpine, UT 84004. Call 801-554-6317 or visit website for more information. Located at 216 Orchard Road Shelburne, VT 05482. Call 802-985-2753 or visit website for more information. Located at 283 Cabot Plains Road, Cabot, VT 05647. Call 802-917-2614 or visit website for more information. Located at 150 Chapin Rd, Essex Junction, Vermont 05452. Call 802-879-6210 or visit website for more information. Located at Hacketts Orchard, 86 South Street, South Hero, VT 05486. Call 802-372-4848 or visit website for more information. Located at 707 Kipling Road, Dummerston, VT 05301. Call 802-254-6868 or visit website for more information. Located at 529 Wellwood Orchard Road, Springfield, VT 05156. Call 802-263-5200 or visit website for more information. Located at 17768 Honeyville Road, Timberville, VA 22853. Call 540-896-7582 or visit website for more information. Marker-Miller Orchards Farm Market – Pick Your Own Apples, Peaches, Red Raspberries, Blackberries, Tomatoes, Pumpkins, Winter Squash & Green Beans. Playground & Kiddie Land, Wagon Rides, Cow Train, Picnic Areas. Located at 3035 Cedar Creek Grade, Winchester, Virginia 22602. Call 540-662-1391 or visit website for more information. Located at 11587 Poverty Hollow Lane, Markham, Virginia 22643. Call 540-364-3040 or visit website for more information. Located at 3064 Hartland Lane Markham, VA 22643. Call 540-364-2316 or visit website for more information. Located at 7301 Rivershore Road, Snohomish, WA 98290. Call 425-334-4124 or visit website for more information. Located at 6140 Guide Meridian, Lynden, WA 98264. Call 360-318-7720 or visit website for more information. Located at 32260 Burrese Road, Sedro Woolley, WA 98284. Call 360-391-3904 or visit website for more information. Located at 4906 Summitview Avenue, Yakima, Washington. Call 509-966-7479 or visit website for more information. Located at 5367 Barr Road, Ferndale, WA 98248. Call 360-384-0915 or visit website for more information. Located at 2226 Easy Street, Wenatchee, WA 98801. Call 509-667-1664 or 509-669-3276 or visit website for more information. Located at 9402 Rich Road SE Olympia WA 98501. Call 360-491-7328 or visit website for more information. Morgan Orchard – Pick your own 23 varieties of Apples, Peaches, Pumpkins, Blackberries, Black Raspberries. Located at 2970 Neff Orchard Rd, Sinks Grove, West Virginia 24976. Call 304-772-3638 or visit website for more information. Located at 414 Kidwiler Rd, Harpers Ferry, WV 25425. Call 304-876-3647 or visit website for more information. Kitchen’s Orchard & Farm Market – Apples, Peaches, Apricots, Tomatoes, Cucumbers, Peppers, Squash, Sweet Corn, Seasonal Flowers, Plants, Pumpkins & Mums. Decorative items such as Corn Stalks, Hay Bales & Gourds. Located at 1025 Kitchen Orchard Road, Falling Waters, WV 25419. Call 304-274-1994 or visit website for more information. Located at 14866 Leetown Road, Kearneysville, WV 25430. Call 304-263-0273 or 304-876-2095 or visit website for more information. Located at 5006 South Sylvania Avenue, Sturtevant, Wisconsin 53177. Call 262-884-7100 or visit website for more information. Located at 46490 State Highway 171, Gays Mills, Wisconsin 54631. Call 608-735-4637 or visit website for more information. Located at 6470 Balsam Rd, Eau Claire, Wisconsin 54701. Other Location: N17543 Grover Lane, Galesville, WI 54630. Call 715-830-9370 or 608-539-4239 or visit website for more information. Located at 48340 State Highway 171, Gays Mills, Wisconsin 54631. Call 608-735-4645 or visit website for more information.